Seven time Olympian Segun Toriola believes that a lack of refinement of the basics held Nigeria back at the Sun International 2016 World Junior Championships in Cape Town, South Africa after the team finished in 17th position in the Boys' Team competition. Segun Toriola was honoured at the 2016 Olympic Games in Rio de Janeiro for becoming the first African athlete to compete at seven Olympic Games, and the 42-year-old recently headed the coaching setup for Nigeria’s 2016 World Junior Championships squad at the tournament which took place between Wednesday 30th November and Wednesday 7th December. However, the World Junior Championships didn’t prove to be a successful campaign for Nigeria in the Boys’ Team category and Segun Toriola believes that the country’s youth players need to take a step back and return to the basics of the sport in order to progress with their game. “I have watched our players several times even when I trained them in Lagos, I just noticed that the basics are lacking. They are talented and strong on the table but to know what to do at a particular time when playing is what is missing. And like I have always said, this is due to coaching because if the coaches have impacted this on them, they will not be lacking. It is very unfortunate but we can still see what to do to help them” – Segun Toriola. Nigeria lost its opening three matches in the Boys’ Team event with Belgium, Egypt and Argentina all prevailing before the Nigerian side eventually managed victories over the host nation South Africa and then New Zealand on their way to a 17th place finish. 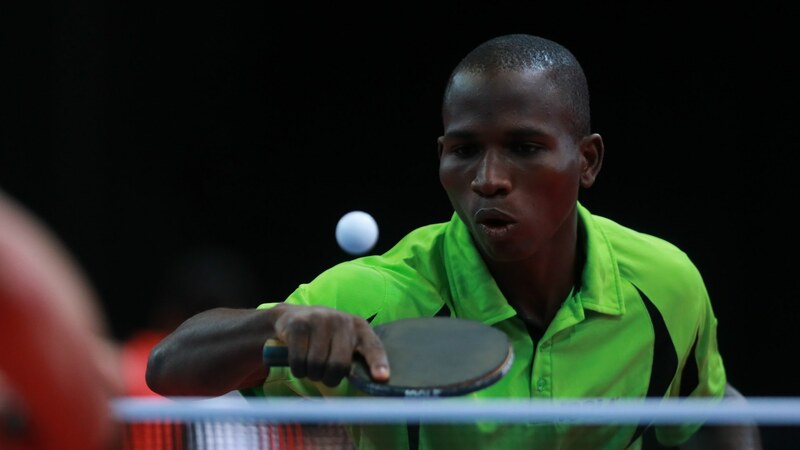 Toriola highlighted the group stage tie against Egypt as his squad’s strongest performance at the competition, but the Nigerian table tennis legend insists that it will take time for his country’s young players to reach the next level. “I think the match against Egypt was the closest match because they had the upper hand but because the Egyptians know the basics they were able to use it against our players… Another area we need to also focus on is in the area of coaching because our junior players need to be taught the right things for them to be able to compete with the best. I tried to do this during my training programme with them but this cannot be corrected overnight but with regular training” – Segun Toriola.